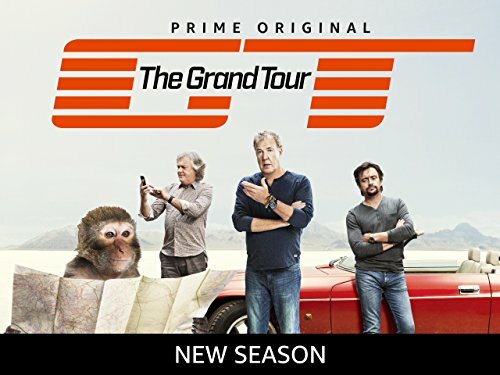 Our favorite show The Grand Tour returns for a second season this week on Amazon Prime. Jeremy Clarkson, Richard Hammond, and James May return for season 2 of The Grand Tour, which premiered Friday on Amazon. Clarkson assures that the show has improved greatly from the first season because they got rid of several elements that weren’t working. For example, “Celebrity Brain Crush” has been replaced by “Celebrity Face Off,” a game in which two celebrities who are connected in some unusual way race around a track to see who’s the fastest. This year’s guests include Kiefer Sutherland, Luke Evans, Hugh Bonneville, and Dominic Cooper. Apr 8, 2019 We are Hiring! Apr 4, 2018 What is HDR TV (and why should you care)? Mar 30, 2018 Save BIG on Audio, Video and More for the Great Outdoors! Mar 28, 2018 Now this is cool! Jun 14, 2017 New construction or remodeling project? Here are our top technology tips! Apr 21, 2017 Top Technology Myths Busted! Mar 24, 2017 Outdoor TV's, Bring the Indoors Out! Dec 7, 2016 Join us Thursday, December 8th for "My Favorite Things"
Oct 18, 2016 Trade-in, Trade-up, and Save! Sep 15, 2016 Are you ready for some football!? Jul 19, 2016 Schedule Your at Home Outdoor Audio Demo Today! May 26, 2016 Better than Sonos? Feb 16, 2016 Please join Sound & Vision this Wednesday February 17th presentations on the hour from noon until 8 p.m.